We really enjoyed our holiday season and wish you the best for 2018. Well Christmas is over and I had the pleasure of gifting several of the quilts that I made prior to the Christmas Season. It is always such a pleasure to give something that is made “by hand”. 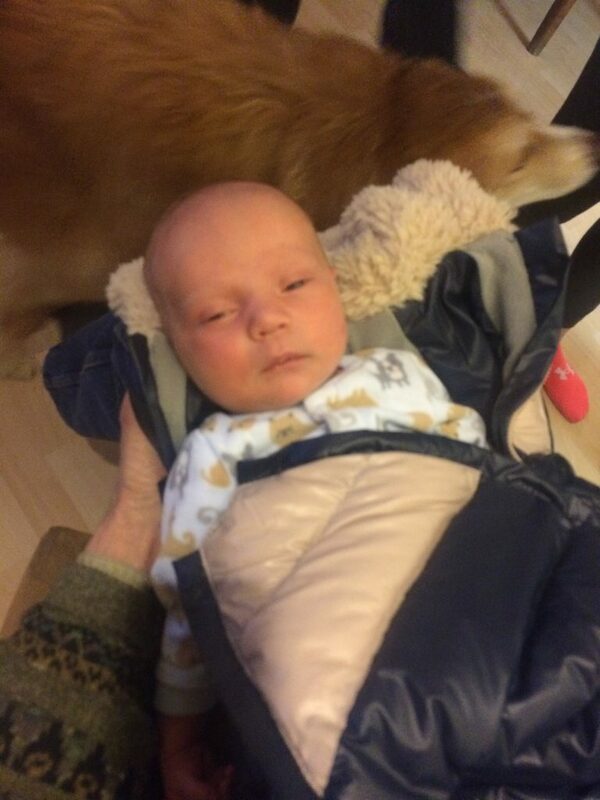 We received an amazing gift on Christmas Eve Night, a beautiful great-grandson!! He arrived at 9:15 that evening and was present at the home of our daughter the following morning for their gift opening. On Christmas Day we prepared a meal for our bed and breakfast guests of baked ham, scalloped potatoes, 2 fresh vegetables, salad and homemade Christmas baked goods and left them to enjoy their meal while we arrived at the home of our daughter for Traditional Turkey Dinner. The majority of our visitors this year have been from Japan. We always enjoy our guests from so far away, China and Korea included. I am posting a delightful photo from one of our very enjoyable guests “Mr.J” and his family, (with their permission of course). 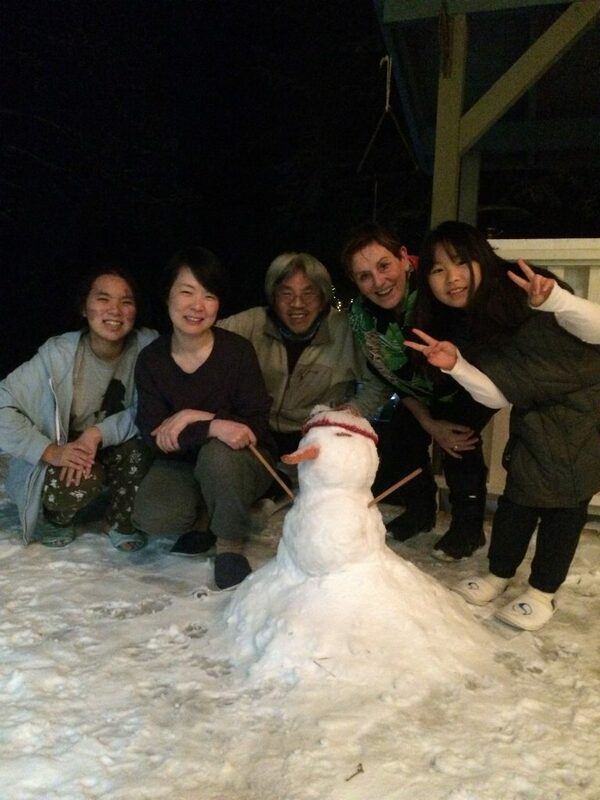 Their lovely little daughter had her first snow experience and also built her first snowman. Of course everyone is here to enjoy The Aurora, dog sledding and ice fishing , to name but a few activities. Many of them tour The Yukon Wildlife Preserve and enjoy a soak in The Takhini Hot Springs not far from there. We are currently hosting guests from Hawaii!! 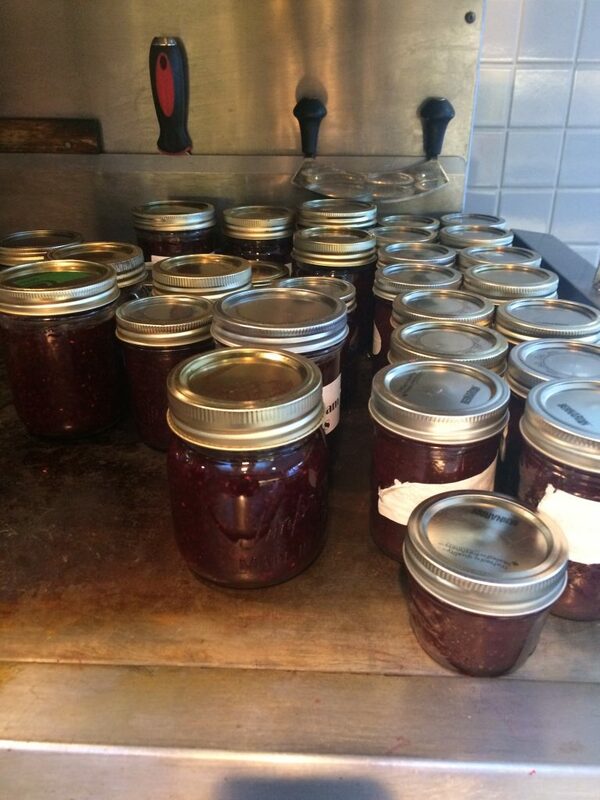 Now that Christmas is over, it is back to busy daily activities like baking, and finally making up Jam from the fresh berries we picked this August and September. So far we have made jars and jars of raspberry jam, raspberry and rhubarb jam and raspberry and saskatoon jam. It seems the action never stops here at Hidden Valley Bed and Breakfast! Wishing every one of you The Very Best of 2018! !